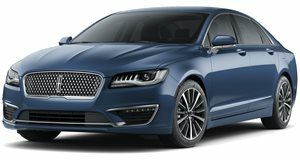 Then again, Lincoln's sales have increased lately. Despite what you think of them, you’ve got to admit the recent Lincoln MKC ads starring Matthew McConaughey certainly worked. They sparked a ton of attention, hilarious Jim Carrey and Ellen DeGeneres spoofs and, above all, an increase in MKC sales. And now McConaughey and Lincoln are back, this time pushing the MKZ and MKZ Hybrid. The setup is entirely familiar, with the Academy Award-winning star pitching the sedans in his now trademark monologues. “If I can be authentic, and the spots are authentic, then we are sending the same message,” McConaughey stated. There are two new spots, “Balance” and “Diner,” and both will hit the airwaves during college football bowl games on New Year’s Day. And yes, it’s only a matter of time until the next series of spoofs are released, hopefully with Jim Carrey once again.